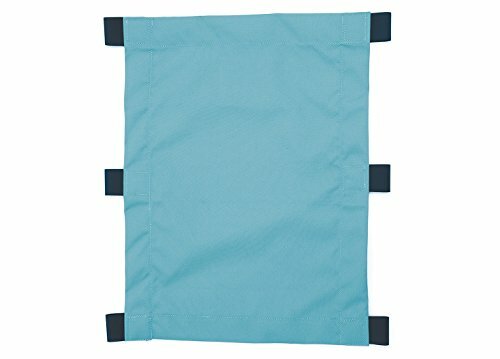 Croozer Sun Cover for Kid Plus for 1 Bike Trailer Well protected on hot days - There's nothing nicer on hot summer days than to spend time outside with your child. The Croozer Sun Cover for the Croozer Kid protects your child in your bicycle trailer from excessive sun. A child's skin is tender and still very sensitive and can very quickly get sunburnt. Easy to install, good ventilation Using Velcro fasteners, you just attach the Sun Cover to the front between the frame tubes of your Croozer. You can set it to the desired height or roll it back so that your child can still see out, but is not dazzled by the direct sun. On overcast days you simply roll it all the way up. The insect mesh protector can still be used along with the Croozer Sun Cover. Protects your child in your bicycle trailer from excessive sun. Adjustable height- can be moved up or down to match position of the sun. No tools required - Using Velcro fasteners, you attach it to the front between the frame tubes.